Lana Del Rey pranced her way onto the music scene in 2011 with her debut single “Video Games.” A music video created by Del Rey herself was posted on youtube and became a viral hit with over 20 million views. 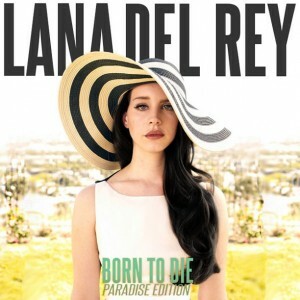 After her sudden fame, she released her second studio album “Born To Die” in January. It quickly became one of the best selling albums of 2012 with songs that evoke a nostalgic feel such as “Blue Jeans”, “Born To Die”, and “Summertime Sadness.” Although seen as controversial and vulgar at times, Del Rey continues to glamorize the griminess of life. “Paradise” is her newest album, and it can be seen as a sequel to “Born To Die,” adding eight new songs which seem to continue the theme of her last album. Broken dreams, Carpe Diem, and Pining For a Lover all seem to be Del Rey’s motif along with the beauty of freedom being a recurring one in “Paradise.” Her statuesque features and dazed yet dreamy mannerisms make Del Rey a hauntingly fascinating performer to watch. Her deep, velvety voice softly echoes into your ears with disturbing songs such as “Ride,” a 10 minute epic video where an enigmatic Del Rey walks the streets of an old southwest town, hangs out with old biker gang members, rides on the back of a Harley and occasionally plays pinball in an…odd way. If you want to know what I’m talking about, you’ll have to see it for yourself. If you already have, well enough said. The whole album is a bit disturbing and very much exploitive, but the music is great. There are soft piano chords, melodic strings and occasional pop beats mixed throughout. Del Rey’s persona of a sultry, wandering girl with a taste for the darker things in life is what really sets her apart from other musicians. She embodies a romanticized vision of all the melancholy life has to offer and makes one almost crave it. Del Rey seems to have embraced the magic of movie making and poetic brilliance which makes for an enticing cocktail of cinema and music. “Paradise” is definitely one of my favorite albums of the year, and it has me anticipating what the gorgeous Del Rey will do next time.